Your table, our 25-acres. With glass in hand, journey to private beach with mountain-lake sunset view. 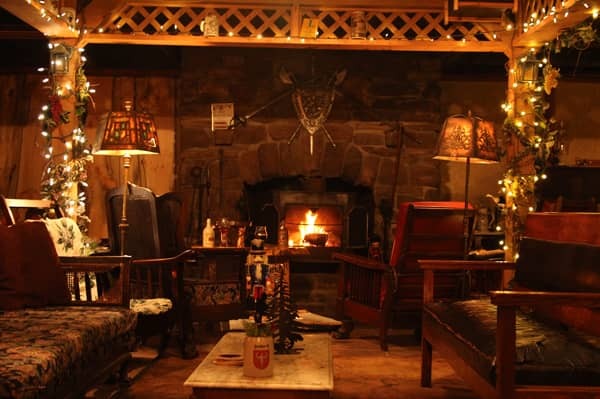 Or, explore our nature trails, then warm in the Fireside Rathskeller and meander to our 1886 hand-hewn dining room. We focus on a 100-mile product philosophy based on Chef Cathy's pioneer family who originally built the lodge in 1886. We fuse this with the Old World traditions of Ernest's European family, who bought the lodge 50 years ago. Each evening the Lodge is open, we offer several additional activities you can choose to take part in! 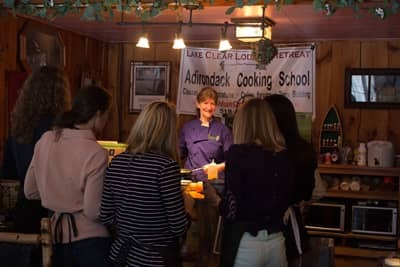 Chef Cathy offers a Traditional Foods Cooking Demonstration, while Ernest provides a History of Beer Workshop & Tasting! Learn about Traditional Foods for 30 minutes with Executive Chef Cathy Hohmeyer! 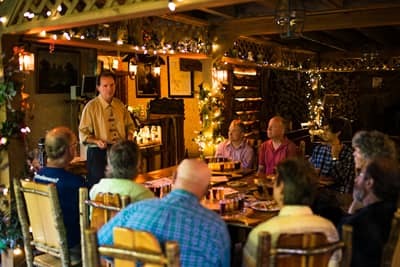 Enjoy a 30-minute History of Beer workshop and tasting with Ernest Hohmeyer! Ernest explains the history of beer, complete with trivia, while you try 6 different beers from around the world! Our five-forks Adirondack Alps restaurant offers several dining experiences, depending on the season! 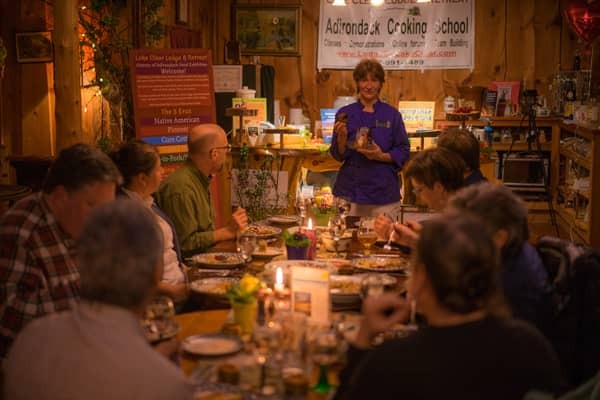 From our traditional Great Camp Dining, to our 5-course History of Adirondack Food Tasting. Our staple dinner experience for over 50 years! 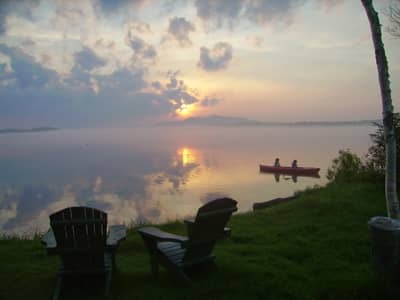 Our Great Camp dinners are a forgotten Adirondack culinary experience where your table is our 25 acres. Our 5 eras of history come alive as your 5 course tasting is paired with demonstrations, displays, trivia and fun history including a hidden beer cellar, concealed tables and don't forget to watch out for that '20s Copper! Sign up required; two person minimum. $10 per person. Sign up required; $20 Per Person. Reservations required; $79 per person. Sign up required; $44 per person. A: Yes! We kindly request reservations, but are open to guests to the outside. Q: Do you have a dress-code? A: We generally say "resort-casual," as if you were going to a friend's house for dinner. Please no cut-off or ripped jeans, t-shirts, etc. A: Yes: we are a three-generation, family operated restaurant. In addition to our various nightly selections, we also offer children's portions and a la carté options. Plus, we always have great homemade desserts!